Pakistan announced late on Thursday that it had successfully test-fired a cruise missile that can be launched from submarines, which brings India's main rival to the west closer to having a nuclear 'second-strike' capability. 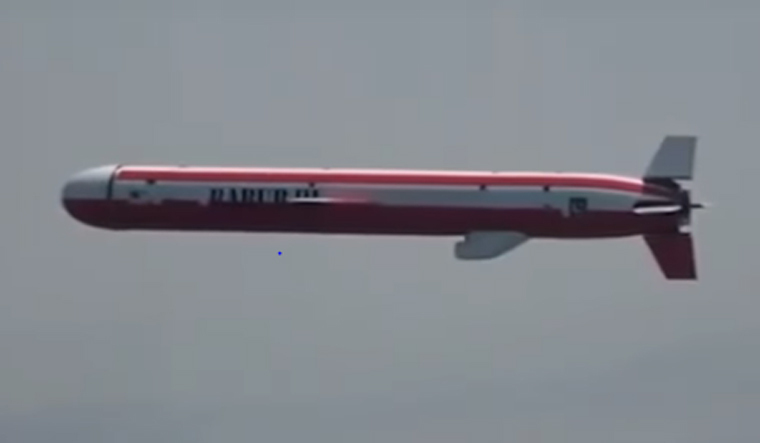 The Inter Services Public Relations wing of the Pakistani military stated that the submarine-launched version of the 'Babur' missile was successfully tested from an 'underwater dynamic' platform and had a range of 450km. The ISPR press release stated that the missile can carry 'various types of payloads' and would provide Pakistan with a credible 'second strike' capability. This is believed to be the second test of the submarine-launched Babur; the first test was in January last year. Analysts have long suspected that the Babur was developed with inputs from Chinese and Ukrainian companies. While it is highly likely that Pakistan did not test the missile from a submarine, the development of the weapon cannot be ignored by India. India is developing a nuclear second-strike capability revolving around ballistic missiles launched from submarines. Ballistic missiles have significantly greater ranges and are much harder to shoot down compared with cruise missiles, which fly through the atmosphere in a manner similar to a jet aircraft. However, cruise missiles do offer benefits. A cruise missile such as the Babur, being smaller than ballistic missiles, can be fired from the torpedo tubes of a submarine, which means Pakistan can modify its existing fleet of three French-designed Agosta-90B submarines to carry the weapon. It could also be installed on the eight diesel-electric submarines that China is selling Islamabad, providing Pakistan with a cost-effective deterrent. Another advantage that a cruise missile offers is its low-altitude flight profile that makes it ideal for 'sneak' attacks. The Pakistani test should be alarming for India for the simple reason that the Indian Navy's anti-submarine warfare (ASW) capabilities are in drastic need of a revamp. This is particularly true of aerial ASW assets, which are crucial for scanning the seas and launching quick attacks. The Indian Navy's primary ASW helicopter still remains the venerable British Sea King, which will be entering its fifth decade of service in Indian colours soon, with the first variants entering service in 1971. Multiple plans to buy at least 100 multi-role helicopters for the Indian Navy have been floated, dropped and re-floated over the past decade.